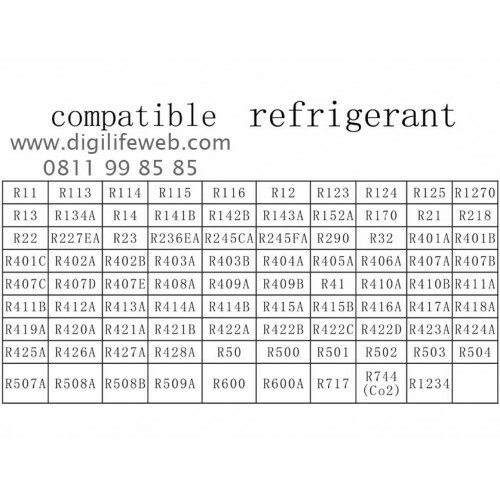 - The intelligent electronic refrigerant group instrument is an auxiliary instrument for the installation, testing and maintenance of refrigeration equipment such as air conditioners,fridge and cold storage. 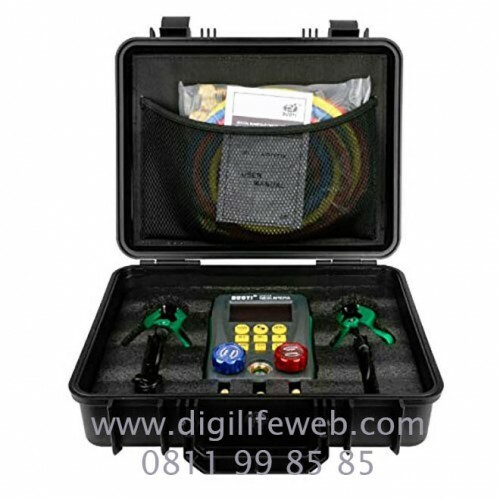 - The instrument has double pressure test, dual temperature test , digital readout, multi-unit switching, multi-mode function and built-in refrigerant database. - Built-in 89 kinds of refrigerant pressure-evaporation temperature database, also calculate the subcooling superheat, to facilitate direct reading of operating process data. The instrument can measure double pressure at the same time, as well as dual temperature measurement , with automatic multi-unit pressure conversion, automatic conversion of temperature Celsius / Fahrenheit, to facilitate different needs. 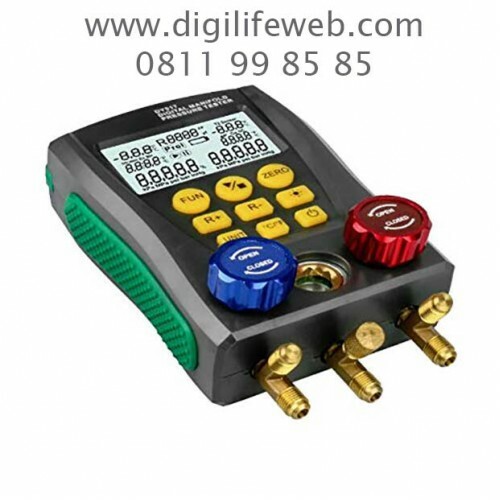 Built-in 89 kinds of refrigerant pressure-evaporation temperature database, also calculate the subcooling superheat, to facilitate direct reading of operating process data. Also it tests percentage of vacuum measurement; pressure leak measurement, leak time speed record. 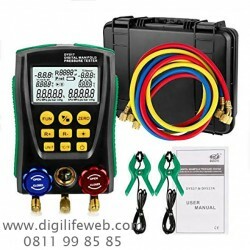 It is deserved to have this multi-functional, accurate and simply operated digital manifold let you do the job right. Pressure test unit: Kpa; Mpa; bar; inHg; PSI. Vacuum test unit: Kpa; Mpa; bar; inHg; PSI.